For about ten years Apple developed and supported Final Cut Pro, going through seven versions and releasing a number of supporting applications for motion graphics, DVD authoring, audio editing, text graphics, color, and more. Many video editors built their workflows, and ultimately their business, around the use of these tools. In 2011 Apple decided to reinvent Final Cut Pro with the release of Final Cut X, which was drastically different. 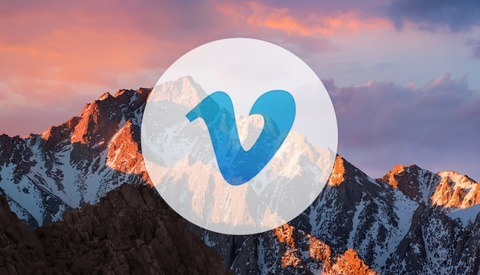 Along with this new software, the old apps would no longer be supported. This drew a lot of harsh feedback from existing users, and many editors, myself included, finally switched to a different platform. This documentary looks to get answers to why they made such a big change. Apple didn’t help themselves by saying ‘We’re no longer supporting FCP7, we’re doing a hard cut from FCP7 to FCX,’ and they probably should have done a dissolve. At the time this happened, I was not only using FCP7 as the primary hub of all of my editing work as a freelance editor, but I was also teaching classes at a media arts college, which also revolved around FCP7 and its suite of supporting applications. So to say that much of my work depended on these apps would be completely accurate. I took a three-day intensive course and couldn't figure it out, and FCP7 was perfectly serving my needs at that time. I continued to edit on 7 for the next 3-4 years, and eventually switched to Premiere when I started to get into 4K. I won’t bore you with my reasons for why I thought the app shift was a terrible move (spoiler alert: it was) because that's not the point of this article. My reasoning for the article is to step back and ask why a documentary needed to be made about this subject. Part of me feels like it’s opening an old wound that has long since healed; Those of us that were major FCP7 users have moved on. It’s almost as if someone you loved left you for no reason, and you had to adjust and figure out how to move on without them, eventually finding a new love (her name is Adobe) and making it work. But now, six years later, they send you a Facebook message wanting to explain why they left and how they've changed for the better. What’s the point? It sucked for a bit, but we’ve both moved on and become different people so why go there? That’s what I’m scared that this documentary will be — some sort of reconciliation letter aimed at the old FCP7 users to say, “Hey, remember the good times? Well we should still be friends and hang out sometime!” Or even worse, it could be a lineup of acclaimed editors who have used FCX on a big-budget movie and are singing its praises. Good for them, but it's unnecessary. If a tool works for you, great, but we don’t need to see a film about it. It could easily turn into a glorified, fanboy-filled promotional video trying to make a case explaining why FCX is awesome. I honestly hope it doesn’t do any of the aforementioned. What would actually be compelling to hear about is Apple’s strategic plans before FCX was even an idea. Maybe examine what kind of research and trends they noticed in the market that led them to want to make changes. We don’t always hear about what goes on deep within the core of Apple, so that would truly be interesting. If you've been an editor on any level of Apple software, there are likely some familiar faces, so that's good, but I wish Walter Murch were included in the interviews. His views on editing theory and perhaps how storytelling can be enhanced or hindered by software would be of much interest to me. In the trailer, there are a number of audio bites that I totally agree with, but also some that I 100 percent disagree with, so it’s bound to rile some folks up, myself included. I suppose it's a passion for storytelling that is the basis for the emotion people show towards software favoritism, because when the software changes, it can affect their ability to tell a story efficiently and with style. Some people love FCX because it's a tool that serves a purpose for whatever editing task they have, and same goes for users of Premiere or other apps. 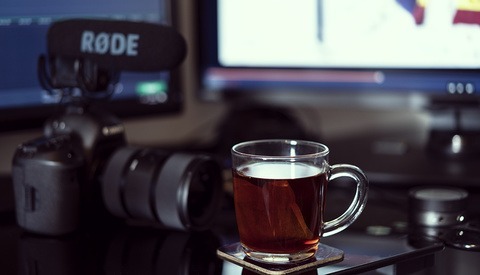 Editing a music video, to night newscasts, to documentary films, to sizzle reels are all different and can have different workflows, not to mention the editors in front of those systems having their own styles and workflows. Speaking of editing, the trailer itself is edited well but I have to say that with the way it ends, it feels more like a product promotional video than a thoughtful documentary. Personally, I’m hoping the film is more like the latter. What do you think? Are you interested and excited for this film? Cautiously optimistic? Or does it seem so far off the tracks that even its magnetism won’t keep it in sync with viewers? Does anyone else keep a working copy of FCP7 on their system for legacy projects? Alternate title "Does Not Play Well With Others". Which others are you referring to? There was a great opportunity to shoot a lit of the interviews during the FCPX Creative Summit so I'm glad someone took the time to make this. They even got to interview the digital NLE godfather himself Randy Ubillos so it'll be great to hear his perspective. I remember when this happened, iMovie Pro. :-D They got rid of critical components like EDLs! When pro editors asked WTF, Jobs just said they didnt need those things anymore, thinking pros were just going to roll over like his lemmings. LOL! What was really amazing was how fast Adobe shifted into warp drive. They saw a golden opportunity and jumped on it. They sent questionieres to editors large and small asking what they'd like to see in an ideal editor. Practically overnight CS5 came out, followed quickly by the 5.5 bug fix/features add, and in no time turned the clunky crash box that was Premiere into a world class editor. By CS6 it was all over. Although today FCP has regained all the missing functions and processes, and today is a fully capable editor, it was too little too late, and the burn had long set in. You'll have your pundits tell you how much better it is at this and that over Premiere, but it doesn't matter. It's over. From my opinion, it is difficult for Editor who is doing well on Final Cut Pro -6,7 & Premiere CS5,6 move to FCP-X. Becuase of Interface is different, a lot of confusion in making an event/library for importing clips. Storyboard timeline is slightly difficult to understand if somebody using old version premiere or final cut which is track base interface. So prefer choice for experienced editors is the New release of Premiere Pro CC. FCP-X is good for beginners as they not driven from track-based NLE. Note: These are my personal opinion. I just shared my views. In my personal experience is was different. I started editing in Premiere CS3 so by the time FCPX came out all I knew was track based editing. When I first launched FCPX and started poking around to see what it was like and at first nothing really grabbed me so I stuck with Premiere. However when FCPX 10.0.3 came out with it's multicam capabilities I gave FCPX one more try, as most everything I shot at the time was multicam. I was blown away at how easy it was and to this day still consider it the best Multicam solution out there. Tried Premiere's when they came out with multicam however theirs was lacking, IMO. So after giving FCPX this second chance I started to just get it and find it very weird/slow to edit in anything else, again IMO. Apple announced at NAB that they have over 2 million Licenses out there for FCPX so it is being used. I know people who use all of the NLEs and ultimately choose what's best for your workflow or whatever you're hired to use. I've had a similar experience as you have. I like Premiere, but I'm not nearly as fast in it. The two big features of FCPX that make it fast for me are hover scrub in the timeline and the magnetic timeline. Once you get used to those its very difficult (and slow) to edit in Premiere. One other thing... Apple seems to be doing some kind of black magic to get almost any clip to play smoothly and instantly. Premiere lags a big no matter how I optimize, and Resolve is a joke when it comes to smooth playback unless you optimize all media. Lots of us have FCPX licenses (great for quickly converting AVCHD to ProRes automatically) but don't use it (and loathe it). Performance is great but there was no reason to break our interface. I do not understand, why should we hold a grudge for something that happened over 6 years ago? Yes, they could have released it much better and they had even admitted it. So, how much longer should we hold a grudge for? I would think that even in real life relationships we would allow for at least one major mistake. Please be know, that I too was furious with the update of FCP7 to FCPX, I felt abandoned and dumped. Final Cut Pro had been my tool of choice since its release of Version 1 over 15+ years ago. Fortunately for me, ( after my rage, pain, and sadness ) I gave FCPX a second serious try and, I am happy to say, I fell back in love with Final Cut Pro. 5+ years later I am now happier and more in love with Final Cut Pro than ever before. To me, it feels as if FCP7 went and got a complete makeover and transformation up to version 10 and now, for me, it is now far more stable and faster than FCP7 ever was or ever could be. Apple has not charged any of us one penny more than on our original purchase over 5+ years ago. I take that as a sign of apology on top of all their amazing updates. Personally, I believe we must choose the best tool for the project, even if it is a tool that made a marketing mistake over 6 years ago. Please correct me if I am wrong, but sometimes it is good to forgive or we may miss out on something good. What if one day apple again killed fcpx? What do you do? Move on to whatever they replace it with or something else, it's not complicated. Experienced person doesnt falls into the same hole. Surely these "old wounds" can't be reopened... we're talking about software and over five years... they must have healed entirely! If anybody gets upset by this documentary they should consider therapy. I'm not sure it will be the best story every made. But FCPX is without doubt the best innovation in editing since the first release of Final Cut and worth overlooking every bit of grief caused by its, admittedly, horrendous delivery into the industry. After the initial shock of "losing" FCP7 I finally learned FCPX and would not go back. 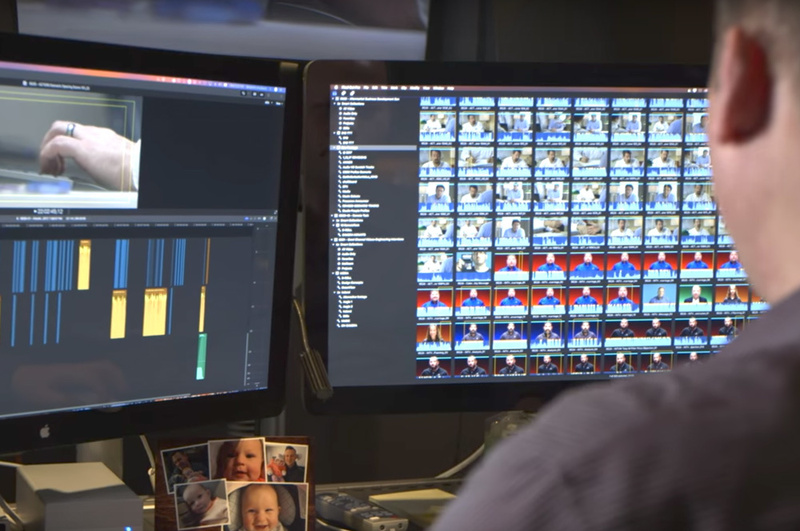 Sure FCPX has some quirks but what software doesn't? Since you asked for what others think, here you go. In your 13th paragraph, you wax at length about how YOU think the documentary (you've admittedly never actually seen) might be improved. You're really comfortable using a public platform to pre-judge another creators work in advance of its completion? Kinda glad you weren't around when I was starting out - as I suspect you might have been happy to trash my test Polaroids - damn the final prints! The young filmmaker who is doing this documentary is taking a creative risk. He's making a work that's never existed before. And will be putting it out for others to judge. To pre-judge his work before he's completed and released it is, IMO, insulting. And worse, to presume you know better how he SHOULD have done the work you haven't yet seen - is even more so. One thing for sure. Nobody puts this much energy into staking out positions in advance of stuff that doesn't matter! I can't wait to see this whole movie! And reading this thread, I suspect some of the early reviews will be highly polished pieces - ready to go the instant the movie is available - given this new idea of starting the critical reviewing process far in advance of the ACTUAL creation of work being reviewed. Thanks for reading, and for the critical comments. This site allows me the opportunity to voice my opinion, so from time to time I use it :-) My guess as to what the final film might be like is based on exactly what the trailer showed me. If you prefer, consider my criticisms aimed at the trailer then, not the final film. But usually the point of a trailer is to give a taste of the film, so I stand by my assessment. I'm not sure that I find this topic to be terribly compelling by itself, but rather a part of a larger more interesting story about how Apple innovates and strives to "think different." Now that's a movie I'd definitely watch, and a scene in that could easily be about the video post-production industry, where this would fit in perfectly. I think I'm getting roasted over this, but it seems to me that Apple has turned away from professional users a long time ago, and mostly caters for consumers. Look at the Mac Pro and Apple minis with hardware from 4 years ago but prices that don't reflect that age tech. At least in the days of Steve Jobs, I could follow the reasoning. The bottom line (profit) seems to be the premier drive in Apple's reasoning. Mr. Batenburg - your opinion in this is extremely ill-informed, IMO. How exactly do you explain the deep and fundamental changes FCP X introduced at 1.0? Was the integrated keyword database designed for capturing school plays? How about Compound Clips? We're they aimed at the casual user? What about resolution independence plumbed in from the start to be as capable of working with a Red camera file as one originating from an iPhone? Was that for amateurs? In the FCP X 10.3 update, Apple recently revealed huge improvements to Roles. Please explain to me how those changes have ANYTHING to do with someone not delivering work into a professional and highly complex workflow? Or you suggesting that casual users are somehow now steeped in iXML metadata driven audio workflows and producing their masters for delivery to multiple broadcast, web and digital services around the globe? It seems like so many others, you have managed to utterly miss what Apple actually delivered in 2011 - and has been working diligently on for more than half a decade now to improve. Having a clear field to work faster and more efficiently - compared to my competition - for this long has been HUGE benefit. 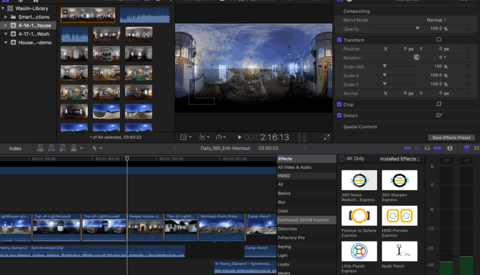 With Two Million global editors now working with FCP X (Apple at NAB) from what I read that's likely close to double AVID and Premiere Pro combined. So the competition is getting stiffer out there. So, please keep holding onto the fantasy that Apple made a big mistake with FCP X for as long as you can. It's helping me stay ahead of things. I wasn't talking about FCPX, was I? William, yes FCPX 10.3.x or 10.4.x is a capable, if peculiar, NLE. On the other hand, leaving its pro editors in the lurch for four+ years while they made FCPX just usable in a pro environment is ridiculous. Industry use of FCPX and industry trust of Apple took a huge hit. Probably about half of accumulated professional goodwill in the video industry, with twenty per cent across other pro users who became worried about the platform (for good reason, Apple blew up Aperture shortly thereafter, though v3 of Aperture was a step backwards from v2). Those two million users are mostly home users or people like me who bought FCPX as an afterthought, as it's cheap enough to own, even if, like me, you don't use it. This is not what FCP Studio (1 to 3, or FCP 1 to 7) was. FCP Studio was the application which dethroned Avid and gave creators a chance to use serious tools, suited to long form. Almost from the very beginning (I used every version of FCP). And yes, some of us do hold a grudge. Our most important tool was crippled for two or three years while Apple promised us an amazing new version. And then we got the Emperor's New Clothes. Crippled for another four years. That's seven years without any performance or feature improvement in a primary working tool. That Mac Pro is one of the most beautiful designed computers I have seen. And also completely idioticall designed from a tech point of view. It is stunning but what I don't like about some Apple products is that form always seem to win over function. In the MCBPro you need dongles to get it properly connected because there is only usb-c and no Lan connector of other connectors. Wifi is nice but a cable connection wins each day of the week. Usb-c is brilliant of course. But in the case of the mcbpro the connector is rather complicated. It seems to be everything at the same time. I hardly get it but you probably do. And you cannot update your drive or anything else because they are soldered on the motherboard. Whether or not this bothers you, that is of course a matter of taste or personal preference. It would annoy the heck out of me if my drive became too small that either had to spend idiotic amount of money or replace the entire unit. I am one of those rare people that rather have function over form. I'd rather have an uglier machine that has all the connectors and can be easily updated. I have a rather ugly Coolermaster case because I want to rip out stuff and replace it by modern stuff without breaking the bank or replacing my entire computer. The same goes for the Imacs. As far as I know, you need to remove the glass panel to replace the drive? Does this sound like a tool for professionals. In a normal computer, this will take about 5 minutes, open case, pull out drive, put in new drive. On my Coolermaster case, it will take probably 2 minutes. Sure, you can use Thunderbolt drives but I'd rather have two or three internal drives. But hey, that is me. I'm not a pro so what do I know. Two months ago, I replaced the motherboard, cpu, memory and GPU and kept the rest in the old case. The Mac Pro won't launch this year and maybe not next year. Who is to tell? That means that pros wanting or needing the fastest tech have to wait at least another year and that is 4 years without a meaningful update. And really, do you find this proof that Apple cares about their professional clientele? Really? They seem quite happy to sell most of their stuff to consumers. Nothing wrong with that, they make a heap by doing that and they are doing well. Apple may sell very nice products but they are expensive and very hard to update or keep up-to-date. Maybe pros don't update their stuff, I don't know but it all sounds really, really stupid. But as I said, what do I know? I am not a pro. I just am puzzled why somebody will spend lots of money on an outdated computer that is at least two times more expensive than a comparable windows machine. I envy pros. They must have heaps of cash to waste. There is another narrative possible here. One you might not have considered. I once thought like you seem to. I was obsessed with machine specs and the cost of one tool compared to another. Funny thing is, around 6 years ago it dawned on me that even laptop hardware had advanced so far that to my surprise, hardware costs had became largely dismissable. The truth is nearly any modern computer pared with modern software works fine for any photo or video job you're likely to need to do. I look at the rig I cut on today and the whole thing cost me less than I used to pay for crew food on my larger shoots not that long ago. Decades ago, I spent $45,000 for ONE tape machine! The gear obsession today is just nuts. It's the golden age of affordable digital imaging tools. So stop worrying about that stuff. If my rig burns up in a fire tomorrow, know what I do? Go to an Apple Store anywhere in the world, and in 2 hours I'd expect to be fully operational again. PC folk can do the same. The "scarse hardware tuned to perfection" game is over. Last year I had the opportunity to sit at a then brand new Touchbar MacBook Pro driving twin 21" deep color 4K displays. (The exact machine the clueless pundits said was underpowered and editors should skip!). It absolutely FLEW through everything I threw at it. Turns out that people who merely READ about this stuff with a head full of studied specs - and used that thinking to project how a system should theoretically function were utterly wrong. As wrong as the crazies who think DONGLES actually matter! Either way. A port IS NOT a capability. Stop confusing those things. Listen, I think I wasn't clear. My point isn't that Pros won't or can't use Macs. My point is that Apple isn't interested anymore in their pro clientbase.Their target group is the consumer, not the pros. Their products make that clear. Which doesn't mean you can't use their products or that they aren't good. It is just that Apple makes too much money on consumer products to care about pro users. You left out a couple of the most important details of the shift. X wasn't just drastically different -- that happens sometimes with software -- but it *didn't work* with old projects. It was a completely new animal made confusing by taking on the same name as the end-of-line suite, suggesting it was an overhauled update. It wasn't overhauled. It was new, brand new, and in its infancy with so few features. The biggest disservice was naming it "Final Cut". Premiere by accident was already more compatible with FCP7 than this new Apple thing derisively dubbed "iMovie Pro". Some truth to its nickname in so far as the enormity of the iLife / consumer market relative to Pro Video informed the shift. The FCS market may have grown larger than Avid and Adobe combined, but it was still a spec of dust compared to the whole of the galactic Apple. (Think iPhone. Not different, just iPhone.📱) FCS took a lot of resources but just didn't count all that much for Apple's bottom line. For Apple execs it made all the sense in the world to merge the consumer, pro-sumer and professional worlds. The institutional memory had been jettisoned. It appears now that as the new teams familiarized themselves with the world of film and video, they recognized that FCPX would never be a viable hybrid or crossover product, so the wheel was simply reinvented during this decade -- which basically has meant outfitting the product with all the features that pros require (not prefer, but require), and to stop contemplating bringing iMovie and FCPX together, or releasing an "Express" version, or whatever might have seemed elegant or forward-thinking in the minds of execs. Another note worth emphasising: Not only users built their businesses around Final Cut Studio / FCP7. The ecosystem included training companies; enterprise storage, networking and CMS disciplines; dedicated filter, effects and IO solutions -- it was a whole industry. Big industry, slowly eclipsing Avid for TV (including even live TV) and cinema. So FCPX in a way made sense from a business perspective, at least in the minds of outsiders, though it was in fact cruel -- literally a killer app -- as well as a miscalculation, albeit nonlethal for Apple. It was enough of a blow, however, to hand the industry back over to Avid and to Adobe and others, and now Blackmagic too. FCPX is finally emerging after many years as a serious solution, but tragically so, because long ago FCP was already there. Way beyond there. Its momentum wasn't going anywhere. An update, even an overhaul, was due. But not a replacement. So Apple will never get that back. Though Apple's got bigger fish to fry and probably doesn't care about taking it back. This is just not a big enough deal for them, and it's too late anyway, so, live with it.